I recently had an article published on Oracle Developer Community website about Understanding, Building and Using Neural Network Machine Learning Models with Oracle 18c. I've also had a 2 Minute Tech Tip (2MTT) video about this topic and article. Oracle 18c Database brings prominent new machine learning algorithms, including Neural Networks and Random Forests. While many articles are available on machine learning, most of them concentrate on how to build a model. Very few talk about how to use these new algorithms in your applications to score or label new data. This article will explain how Neural Networks work, how to build a Neural Network in Oracle Database, and how to use the model to score or label new data. 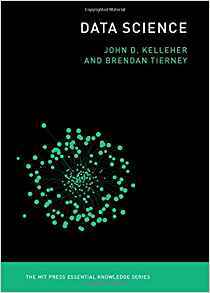 What are Neural Networks? Over the past couple of years, Neural Networks have attracted a lot of attention thanks to their ability to efficiently find patterns in data—traditional transactional data, as well as images, sound, streaming data, etc. But for some implementations, Neural Networks can require a lot of additional computing resources due to the complexity of the many hidden layers within the network. Figure 1 gives a very simple representation of a Neural Network with one hidden layer. All the inputs are connected to a neuron in the hidden layer (red circles). A neuron takes a set of numeric values as input and maps them to a single output value. (A neuron is a simple multi-input linear regression function, where the output is passed through an activation function.) Two common activation functions are logistic and tanh functions. There are many others, including logistic sigmoid function, arctan function, bipolar sigmoid function, etc. For these two test, I'll set the arraysize = 3000. Let's see what happens. For the second test I'll again use the fetchall() function to retrieve the data set. From that I extract the names of the columns and then create a panda combining the results data set and the column names. Next week I'll be giving several presentation on machine learning at Oracle Open World and Oracle Code One. In one of these presentation an evaluation of using R vs Python vs SQL will be given and discussed. Check out the infographic containing the comparisons. If we have a numeric value being returned we can don't have to use the cast and instead use '1' as shown in the following example. This second example extends our user defined R function to return my name and a number. 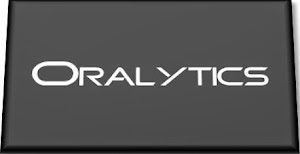 A new Oracle Data Mining algorithm in the Oracle 12.2c Database is called Explicit Semantic Analysis. Oracle Data Miner 4.2 (that comes with SQL Developer 4.2) has a data Wiki data set from 2005. This contains over 200,000 features. To locate the file go to. This file contains the DDL and the insert statements for the Wiki data set. This gives us the base/seed data set to feed into the ESA algorithm. To create the ESA model we have 2 ways of doing this. In this blog post I'll show you the easiest way by using the Oracle Data Miner (ODMr) tool. I'll have another blog post that will show you the SQL needed to create the model. In an ODMr workflow create a new Data Source node. Then set this node to have the WIKISAMPLE table as it's data source. Next you need to create the ESA node on the workflow. This node can be found in the Models section, of the Workflow Editor. The node is called Explicit Feature Extraction. Click on this node, in the model section, and then move your mouse to your workflow and click again. The ESA node will be created. Join the Data Node to the ESA node by right clicking on the data node and then clicking on the ESA node. Double click on the ESA node to edit the properties of the node and the algorithm. After the model node has finished you can now explore the results generated by the ESA model. Right click on the model node and select 'View Model'. The model properties window opens and it has 2 main tabs. The first of these is the coefficients tab. Here you can select a particular topic (click on the search icon beside the Feature ID) and select it from the list. The attributes and their coefficient values will be displayed. Next you can examine the second tab that is labeled as Features. In this table we can select a particular record and have a tag cloud and coefficients displayed. The tag cloud is a great way to see visually what words are important. Now that we have the ESA model created, we can not use it model to compare other similar sets of documents. The result we get is 0.7629. The result generate by the query is a distance measure. The FEATURE_COMPARE function returns a comparison number in the range 0 to 1. Where 0 indicates that the text are not similar or related. If a 1 is returned then that indicated that the text are very similar or very related. You can use this returned value to make a decision on what happens next. For example, it can be used to decide what the next step should be in your workflow and you can easily write application logic to manage this. The examples given here are for general text. In the real world you would probably need a bigger data set. But if you were to use this approach in other domains, such as legal, banking, insurance, etc. then you would need to create a training data set based on the typical language that is used in each of those domains. This will then allow you to compare documents with each domain with greater accuracy. Another feature available to you is to audit the usage of the the data mining models. As your data mining environment grows to many 10s or more typically 100s of models, you will need to have some way of tracking their usage. This can allow you to discover what models are frequently being used and those that are not being used in-frequently. You can then use this information to investigate if there are any issues. Or in some companies I've seen an internal charging scheme in place for each time the models are used. But there is a little problem with using what I've just shown you above. The problem is that it will track all activity on the data mining model. Perhaps this isn't what we really want. Perhaps we only want to track only certain activity of the data mining model. Instead of creating the policy using 'ACTIONS ALL', we can list out the actions or operations we want to track. For example, we want to tract when it is used in a SELECT. The following shows how you can set this up for just SELECT. As I said there are a number of different measures used to evaluate clusters. The one that Oracle uses is called Dispersion. Now there are a few different definitions of what this could be and I haven't been able to locate what is Oracle's own definition of it in any of the documentation. If you are a user of the Oracle Data Miner tool (the workflow data mining tool that is part of SQL Developer), then you will have noticed that for many of the algorithms you can specify a Case Id attribute along with, say, the target attribute. The idea is that you have one attribute that is a unique identifier for each case record. This may or may not be the case in your data model and you may have a multiple attribute primary key or case record identifier. But what is the Case Id field used for in Oracle Data Miner? Based on the documentation this field does not need to have a value. But it is recommended that you do identify an attribute for the Case Id, as this will allow for reproducible results. What this means is that if we run our workflow today and again in a few days time, on the exact same data, we should get the same results. So the Case Id allows this to happen. But how? Well it looks like the attribute used or specified for the Case Id is used as part of the Hashing algorithm to partition the data into a train and test data set, for classification problems. So if you don't have a single attribute case identifier in your data set, then you need to create one. There are a few options open to you to do this. Create one: write some code that will generate a unique identifier for each of your case records based on some defined rule. Use a sequence: and update the records to use this sequence. Use ROWID: use the unique row identifier value. You can write some code to populate this value into an attribute. Or create a view on the table containing the case records and add a new attribute that will use the ROWID. But if you move the data, then the next time you use the view then you will be getting different ROWIDs and that in turn will mean we may have different case records going into our test and training data sets. So our workflows will generate different results. Not what we want. Use ROWNUM: This is kind of like using the ROWID. Again we can have a view that will select ROWNUM for each record. Again we may have the same issues but if we have our data ordered in a way that ensures we get the records returned in the same order then this approach is OK to use. Here is an example of using the Identity Column in a case table. You can now use this Identity Column as the Case Id in your Oracle Data Miner workflows. When working with SQL or PL/SQL we all know there are some words we cannot use in our code or to label various parts of it. These languages have a number of reserved words that form the language. Somethings it can be a challenge to know what is or isn't a reserved word. 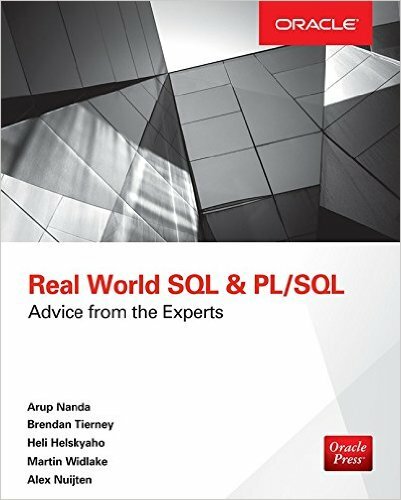 Yes we can check the Oracle documentation for the SQL reserved words and the PL/SQL reserved words. There are other references and list in the Oracle documentation listing the reserved and key words. But we also have the concept of Key Words (as opposed to reserved words). In the SQL documentation these are are not listed. In the PL/SQL documentation most are listed. What is a Key Word in Oracle ? Oracle SQL keywords are not reserved. BUT Oracle uses them internally in specific ways. If you use these words as names for objects and object parts, then your SQL statements may be more difficult to read and may lead to unpredictable results. But if we didn't have access to the documentation (or google) how can we find out what the key words are. You can use the data dictionary view called V$RESERVED_WORDS. But this view isn't available to version. So if you want to get your hands on it you will need the SYS user. Alternatively if you are a DBA you could share this with all your developers. When we query this view we get 2,175 entries (for 12.1.0.2 Oracle Database). Did you read the title of this blog post! Read it again. Yes, Yes, I know what you are saying, "SQL cannot produce graphics or charts and particularly not ggplot2 graphics". You are correct to a certain extent. SQL is rubbish a creating graphics (and I'm being polite). 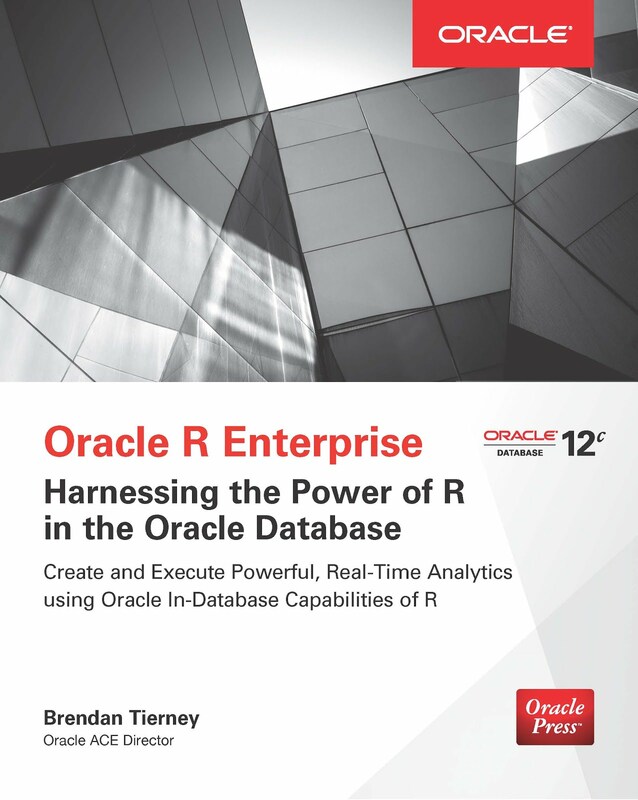 But with Oracle R Enterprise you can now produce graphics on your data using the embedded R execution feature of Oracle R Enterprise using SQL. In this blog post I will show you how. You need to have installed Oracle R Enterprise on your Oracle Database Server. Plus you need to install the ggplot2 R package. In your R session you will need to setup a ORE connection to your Oracle schema. It is always a good idea to write and test your R code before you go near using it in a user defined function. For our (first) example we are going to create a bar chart using the ggplot2 R package. This is a basic example and the aim is to illustrate the steps you need to go through to call and produce this graphic using SQL. The following code using the CLAIMS data set that is available with/for Oracle Advanced Analytics. The first step is to pull the data from the table in your Oracle schema to your R session. This is because ggplot2 cannot work with data referenced by an ore.frame object. Next we need to aggregate the data. Here we are counting the number of records for each Make of car. Now load the ggplot2 R package and use it to build the bar chart. The following is the graphic that our call to ggplot2 produces in R.
At this point we have written and tested our R code and know that it works. Our next step in the process is to create an in-database user defined R function. This is were we store R code in our Oracle Database and make this available as an R function. To create the user defined R function we can use some PL/SQL to define it, and then take our R code (see above) and in it. We have to make a small addition to our R code. We need need to include a call to the plot function so that the image can be returned as a BLOB object. If you do not do this then the SQL query in step 4 will return no rows. To call our defined R function we will need to use one of the ORE SQL API functions. In the following example we are using the rqTableEval function. The first parameter for this function passes in the data to be processed. In our case this is the data from the CLAIMS table. The second parameter is set to null. The third parameter is set to the output format and in our case we want this to be PNG. The fourth parameter is the name of the user defined R function. The SQL query in Step 4 above will return one row and this row will contain a column with a BLOB data type. The easiest way to view the graphic that is produced is to use SQL Developer. It has an inbuilt feature that allows you to display BLOB objects. All you need to do is to double click on the BLOB cell (under the column labeled IMAGE). A window will open called 'View Value'. In this window click the 'View As Image' check box on the top right hand corner of the window. When you do the R ggplot2 graphic will be displayed. Yes the image is not 100% the same as the image produced in our R session. I will have another blog post that deals with this at a later date. But, now you have written a SQL query, that calls R code to produce an R graphic (using ggplot2) of our data. What if you get bored with the bar chart and you want to change it to a different type of graphic? All you need to do is to change the relevant code in the user defined R function. For example, if we want to change the graphic to a polar plot. The following is the PL/SQL code that re-defines the user defined R script. We can use the exact same SQL query we defined in Step 4 above to call the next graphic. Now that was easy! Right? I kind of is easy once you have been shown. There are a few challenges when working in-database user defined R functions and writing the SQL to call them. Most of the challenges are around the formatting of R code in the function and the syntax of the SQL statement to call it. With a bit of practice it does get easier. 7. Where/How can you use these graphics ? Any application or program that can call and process a BLOB data type can display these images. For example, I've been able to include these graphics in applications developed in APEX. When building predictive models the data scientist can spend a large amount of time examining the models produced and how they work and perform on their hold out sample data sets. They do this to understand is the model gives a good general representation of the data and can identify/predict many different scenarios. When the "best" model has been selected then this is typically deployed is some sort of reporting environment, where a list is produced. This is typical deployment method but is far from being ideal. A more ideal deployment method is that the predictive models are build into the everyday applications that the company uses. For example, it is build into the call centre application, so that the staff have live and real-time feedback and predictions as they are talking to the customer. But what kind of live and real-time feedback and predictions are possible. Again if we look at what is traditionally done in these applications they will get a predicted outcome (will they be a good customer or a bad customer) or some indication of their value (maybe lifetime value, possible claim payout value) etc. But can we get anymore information? Information like what was reason for the prediction. This is sometimes called prediction insight. Can we get some details of what the prediction model used to decide on the predicted value. In more predictive analytics products this is not possible, as all you are told is the final out come. What would be useful is to know some of the thinking that the predictive model used to make its thinking. The reasons when one customer may be a "bad customer" might be different to that of another customer. Knowing this kind of information can be very useful to the staff who are dealing with the customers. For those who design the workflows etc can then build more advanced workflows to support the staff when dealing with the customers. Oracle as a unique feature that allows us to see some of the details that the prediction model used to make the prediction. 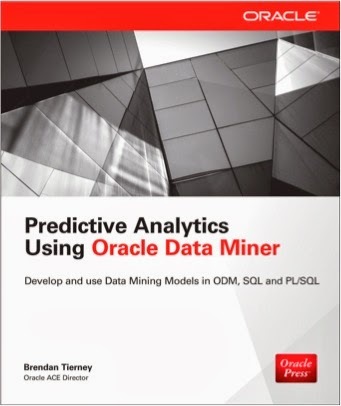 This functions (based on using the Oracle Advanced Analytics option and Oracle Data Mining to build your predictive model) is called PREDICTION_DETAILS. When you go to use PREDICTION_DETAILS you need to be careful as it will work differently in the 11.2g and 12c versions of the Oracle Database (Enterprise Editions). In Oracle Database 11.2g the PREDICTION_DETAILS function would only work for Decision Tree models. But in 12c (and above) it has been opened to include details for models created using all the classification algorithms, all the regression algorithms and also for anomaly detection. The following gives an example of using the PREDICTION_DETAILS function. The PREDICTION_DETAILS function produces its output in XML, and this consists of the attributes used and their values that determined why a record had the predicted value. The following gives some examples of the XML produced for some of the records. I've used this particular function in lots of my projects and particularly when building the applications for a particular business unit. Oracle too has build this functionality into many of their applications. The images below are from the HCM application where you can examine the details why an employee may or may not leave/churn. You can when perform real-time what-if analysis by changing some of attribute values to see if the predicted out come changes. I've never been to KScope. Yes never. I've always wanted to. Each year you hear of all of these stories about how much people really enjoy KScope and how much they learn. So back in October I decided to submit 5 presentations to KScope. 4 of these presentations are solo presentations and 1 joint presentation. This week I have received the happy news that 2 of my solo presentations have been accepted, plus my joint presentation with Kim Berg Hansen. So at the end of June 2016 I will be making my way to Chicago for a week of Oracle geekie fun at KScope. Is Oracle SQL the best language for Statistic? I was really hoping that one of my rejected presentations would have been accepted. I really enjoy this presentation and I get to share stories about some of my predictive analytics projects. Ah well, maybe in 2017. The last time I was in Chicago was over 15 years ago when I sent 5 days in Cellular One (The brand was sold to Trilogy Partners by AT&T in 2008 shortly after AT&T had completed its acquisition of Dobson Communications). I was there to kick off a project to build them a data warehouse and to build their first customer churn predictive model. I stayed in a hotel across the road from their office which was famous because a certain person had stayed in it why one the run. Unfortunately I didn't get time to visit downtown Chicago. Over the past couple of weeks I've been preparing my slides and presentations for Oracle Open World (2015). One thing that occurred to me was that there was no icon or image to represent Oracle SQL and PL/SQL. I needed something that I could include in my presentations to represent these. After a bit of Tweeting it turns out that there is no (official) icons or images for Oracle SQL and Oracle PL/SQL. So I created some and here they are. Feel free to use these in your presentations and share around. All I ask is that you give me an odd acknowledgement from time to time. If you would like to get these as stickers and put them on your laptop, notebooks, or anywhere really, you can order them on Stickermule. NB: It is important to note that these are in no way approved or acknowledged or endorsed or anything else by Oracle. Over past year we have been (hopefully) hearing about Oracle Big Data SQL. This is a new(-ish) option from Oracle that allows us to run our SQL queries not just on the data in our Oracle Database but also against NoSQL databases and Hadoop. No extra coding is needed, no extra formatting is needed, etc. All the hard work in connecting to the data in this systems, translating it into executable code on these systems, executing it, capturing the results and presenting the results back to us sitting in our schema in our Oracle Database. To learn more about Oracle Big Data SQL check out their webpage. But what let us get back to the title of this blog post, 'What Sauron is saying about Oracle'. I used these back at one of my presentation at BIWA Summit in January 2015 and I've been meaning to post these since. If you have read books or watch the movies you will remember the phrase. We can apply this phrase to Oracle SQL now. or maybe my alternative version might be better.